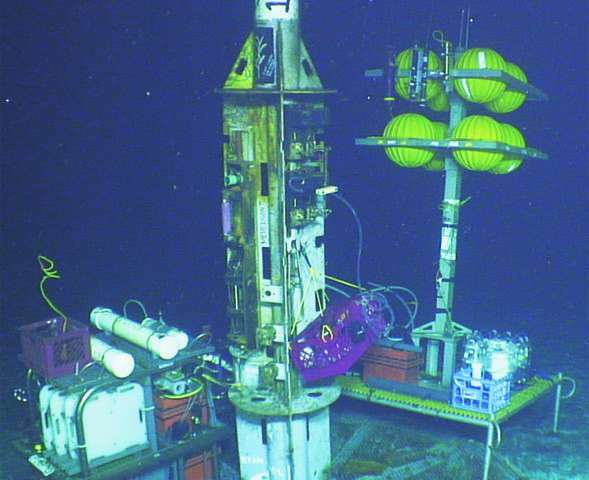 A team of scientists from the University of Hawai'i at Mānoa School of Ocean and Earth Science and Technology (SOEST) showed for the first time that many novel viruses are present in the fluids circulating deep in the rocky crust of the seafloor known as the ocean basement. 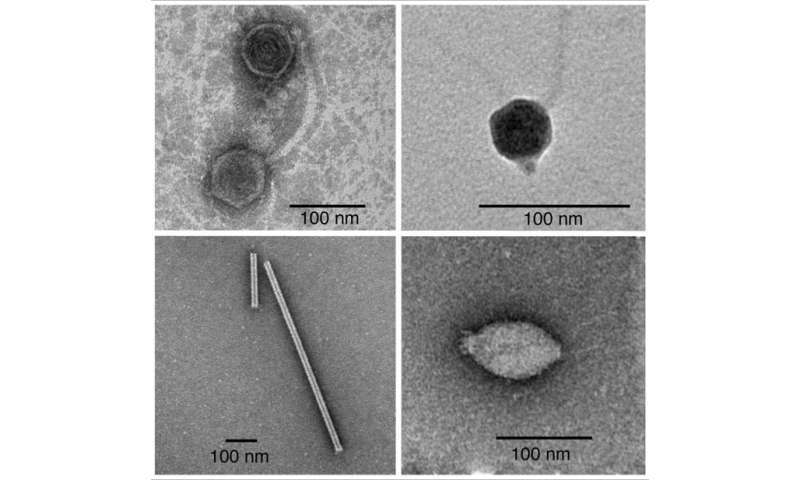 Their recently published study also provides evidence that the viruses are actively infecting the many unusual microorganisms that live in the basement. "The ocean basement was one of the last major habitats on Earth for which we had no information on the number and types of viruses present," said lead author Olivia Nigro, post-doctoral researcher of oceanography. "The volume of water that moves under the seafloor through the ocean basement is enormous. Annually, it is equivalent to the flow of all the rivers on the planet combined." "Despite the massive scale of flow through the seafloor and its importance for understanding the chemical balance of our oceans, our view of the unusual microorganisms that live in this fluid and how they interact is still very sketchy," said Grieg Steward, oceanography professor and lead investigator for the project. "One of the likely places for the origin of the first living cells and viruses was in hydrothermally active seafloor," said Nigro. "Analyzing viruses from this remote habitat helps us flesh out the deep branches on the virus family tree so we can better understand their origins, their contributions to the history of life, and how they influence the activities of microbial life in the crust." "The data we obtained provides clues about the nature of a microbial world that lies hidden deep in the roots of these volcanic islands," said Steward. "Through their interactions with rock and water, these deep-dwelling communities of microbes and their viruses are invisible engineers contributing to the chemical balance of our oceans."